Medical Associates of Northwest Arkansas is a group of local independent physicians focused on providing the best medical care in Northwest Arkansas. MANA physicians and clinics have been providing quality health care in Northwest Arkansas for over 50 years. 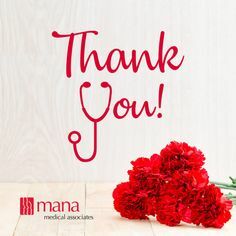 MANA doctors are independent physicians who generally work together in group practices of physicians and advanced providers. Choosing a medical professional in a group practice has its advantages for patients. All MANA clinics are joined in a physician’s consortium, which gives even more advantages for patients. Here are some of the patient benefits of all this togetherness. MANA clinics are independent, physician owned practices, which means that quality patient care comes first. Health care professionals in the MANA network work together to get a better understanding of the patient’s health. This leads to improved patient experiences and health outcomes. 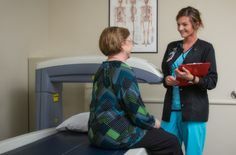 Patients in the MANA network have access to some of the best clinics and medical facilities in Northwest Arkansas. MANA physicians have ready access to medical imaging facilities and labs that solo practice physicians do not. A wide range of health care specialists work with MANA. It’s easy to get a referral when you need to see a specialist in the MANA network, and physician offices and clinics may be in the same locations or nearby. MANA specialists can access patient records and view test results to coordinate care with your primary care doctor. MANA has several clinic locations across Northwest Arkansas. The MANA patient portal also makes it easy and convenient to pay bills, request prescription refills, and access your records. Physicians working in a group practice can collectively manage the costs associated with health care. This means that patients don’t pay more than they have to for health care. Since the doctors use the same records across the system, patients don’t have to wait for access. Shared electronic medical records, or electronic health records, improve patient safety too. There’s less chance of confusion or error when all your medical professionals are working from the same information. It can be difficult to see a solo practice physician. If he or she is booked up, away, or for some other reason unavailable, there’s not much that you can do. You have more options, however, when your doctor is part of a group practice. If your doctor is busy, away, or unavailable, there are other healthcare professionals that you can see in the meantime. It is MANA’s mission to improve quality of life by providing compassionate, comprehensive, quality health care. Meet with a doctor in the MANA network today.